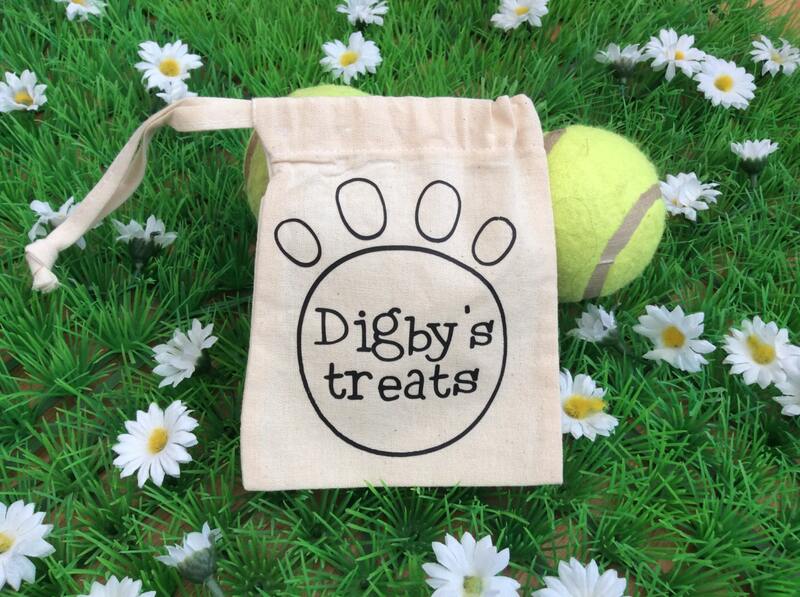 A perfect personalised drawstring bag to store your adorable pets or dog treats when walking or training. Choice of colour for text in black, gold, silver, pink, blue, red or teal. Wash inside out at 30 degrees and iron on a low heat. Please message me with the name you would like on the bag. Came out lovely! 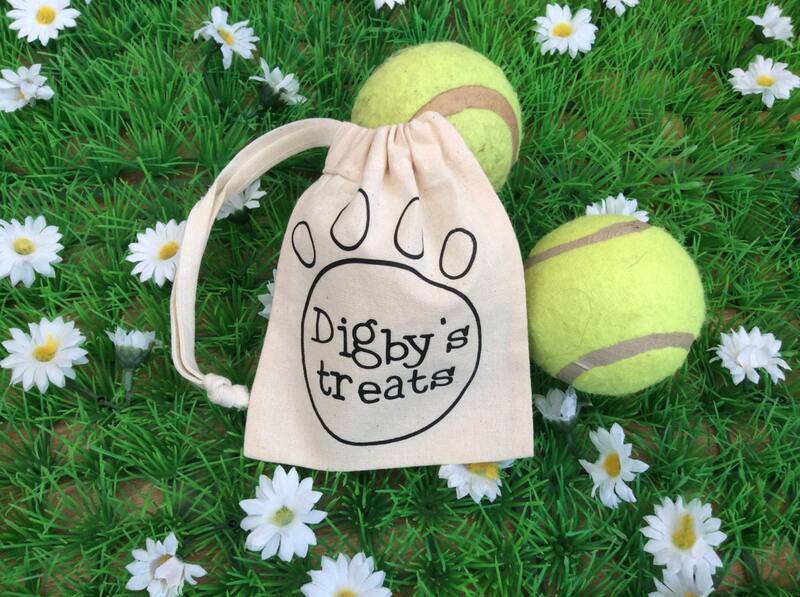 Finally able to teach my pup to expect treats from doing good things rather than just the ziplock sound of the bag! Haha.